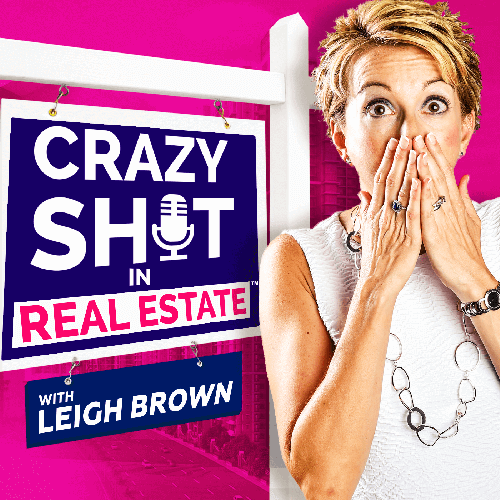 Crazy Sh!t In Real Estate | Leigh Brown Training. Coaching. Speaking. Who came here to PAAAAARRRTYYYY!? REALTORS®, apparently! On today’s show, Jordan Scheltgen, co-founder and managing partner of Cave Social, talks about the day he realized that real estate professionals really know how to get down. He also learned the magic key to setting yourself apart from all the other REALTORS® out there – and the best way to do it using social media platforms, technology, and the one thing only YOU have: Your story. Listen in to hear more about Coyote Ugly: Realtor Edition – and get some good advice on how to get in front of your target audience. What’s more fun than a drag open house? Jared Anthony, realtor and previous airline pilot, chats with us about outside the box – and super-fun – ways to sell real estate. Early in Leigh York’s colorful career an eventful sale involving missed medication, a fire, and a rolled pickup taught her to keep calm in the midst of craziness. Want to be a guest on Leigh's Podcast?